When it comes to woodworking, you will always want to look out for the most practical and aesthetically pleasing design. No matter which skill level you are, this will always be important yet still easily achievable, but how would you exactly do it? Apart from looking at various examples of the structure or furniture you’re planning to make, it is also important to know how to conceal those pesky screws. When making joints you will most of the time need to add screws for extra stability, and having them exposed to the exterior of the structure will make your finished job look like it’s made by an amateur. In order to prevent that from happening, you will need to look at different styles of joints which don’t leave the screws exposed. 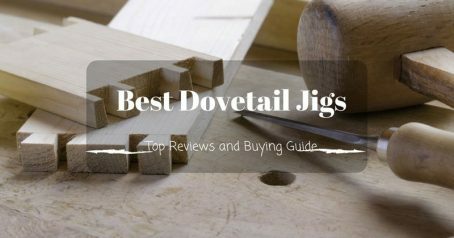 Upon reading various comments from professional woodworkers, we have noticed that the most desirable joint is made with the best pocket hole jig. This pocket hole joint can be of course made manually but there are negatives when it comes to that.The finished result will mainly depend on how experienced you are with making it, and if it’s your first time we recommend you to get a pocket hole jig so that you can make that joint easily. Kreg’s K5 pocket hole jig is one of the most recommended products when it comes to making this type of joint, it’s convenience makes it usable for both professionals and beginners alike. This is also their newest version of pocket hole jigs which adds a few new features which will make your experience easier. One of its most important characteristics is that they have added an easy clamp mechanism, this is extremely helpful when it comes to making the joints. When you use a regular jig, you will notice that it is hard sometimes to move the handle to the front of the jig because of panels which restrict your movement. But with this pocket hole jig, you will have a front mounted handle which has an easy clamp ratcheting system which makes the whole process a bit easier. You won’t have the need to adjust it anymore with the help of nuts or tools, all you need to do is slide it against the stock. All you need to do is lift the handle till the moment you hear a couple of clicks in your stock, at that point just adjust the thickness. The structure of this jig is made out of glass-filled nylon, which makes it a lot sturdier than traditional jigs. You’re also getting accessories such as two support wings that can be attached in order to provide better stability for the stock. These storage wings also provide you a built-in storage for screws, bits and other parts. What we don’t like about this pocket hole jig is that it clearly has a higher price compared to other models which may hurt your woodworking budget. We also noticed that it is harder to adjust thickness on this jig for different materials. If you’re looking to make a lot more pocket hole joints, perhaps at the level of someone more experienced or a professional who is a woodworker for a living, you may want to get this jig instead. Why? Well foremost with this model you will be able to make more joints on a daily or monthly level, but you will also have the privilege of having some tasks done automatically, which is useful for projects that need multiple face frames. First, the design of this jig is really well made as you can see that it has a more elegant kind of design, it is also sturdy as well given that it uses metal in its construction instead of plastic. Since it is made out of metal you will also enjoy better stability due to the heavier weight. Another interesting feature is that you have special compartments for storage, which to be fair aren’t that small, you could fill it with a lot of screws and tools. If you decide to buy this product, you will notice that it is really easy not to just set up, but it is flexible when you work with it as well. You can adjust the thickness for the stocks from ½ inches to 11/2 inches and it is easy as well to adjust the screws since you’re only going to use one knob. The rotating clamp handle also makes it easier for you since it automatically regulates the depth of the material used. Even as for something like a pocket hole jig, it was still hard and time-consuming when it came down to researching the market. 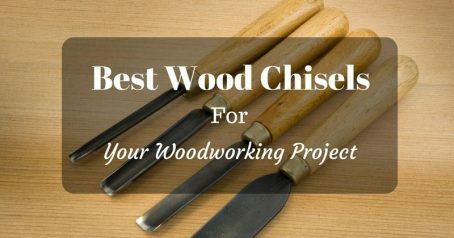 Different reviews had different opinions and the same went for woodworkers who have worked for years with pocket hole joints, and not to mention how much the market is overflooded with different models. But it still wasn’t regretful for us to spend hours on finding the best pocket hole jig which won’t make you waste your money on a bad product. We have carefully reviewed the benefits of making pocket hole joints as well as the jigs that make them, while still taking into account the opinions of people who had experience using these jigs. Before buying the best pocket hole jig you can find, it is essential that you first see a showcase of features and commodities that you get when it comes to choosing to buy a pocket hole jig or deciding to make a joint of that type. If you’re just starting out with woodworking you will encounter a world of different flavors when it comes to making joints. There are a variety of different joints and each one of them has their own positive and negative sides. The list is quite long, but some of the most popular ones are dovetails, pocket holes, dowels, and biscuits. But out of all these types, most people seem to agree that the pocket hole type joints are the most efficient ones, but why? Well, one of the reasons why is that other types take far longer to make and may need a bit more skill or experience to make, and if you’re in a home environment why would you want to bother with that? 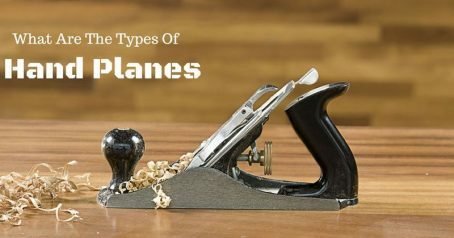 Nevertheless, don’t be confused by these statements, professionals still tend to use pocket hole jigs, but there is a far wider learning curve when it comes to making other joint types. Another important point is that, apart from the difficulty and the time it takes to make them, other joint types may also require more specialized equipment which comes at a higher price. If you’re looking for something easy that can be done in the comfort of your own home, pick this jig type. Upon buying a pocket hole jig, you will notice that it is far more flexible compared to other jig types. Some projects will be easier and less time consuming to make, you may even have a chance to try out something new that couldn’t be done on other jig types. If you want to do picture framing or projects like edge joining and cabinet face framing, it can be done on this type of jig, even without the help of glue. The best thing about this is that you can then easily disassemble screw joints if you need to repair your construction or if you want to use parts of it for another project. Another good benefit of using pocket hole jigs is that most of them are quite easy to use, the learning curve isn’t steep and most of the times you will be able to make joints with just a tiny bit of instruction-reading. You could say that you’re able to use these jigs as soon as they’re out of the box, and you may notice that some of them have features that make it easier for you to work with them. 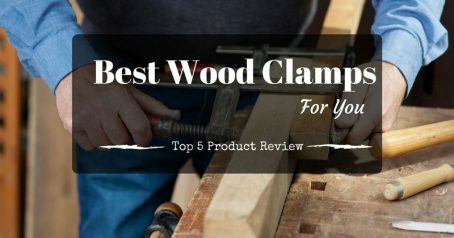 Since the screws do most of the job for you when it comes to holding down the pieces of wood together, you won’t have to be dependent on a huge number of different clamps anymore. This also makes it very cost-efficient. For the end, the last beneficial aspect of this joint type over other types is that they are far stronger and sturdier, as well as better looking. The combination of glue and screws makes this type of joint very robust which is important for woodworking projects like building furniture. It is also aesthetically pleasing since the screws won’t be even seen on the exterior of the structure, which makes it look like it was done by a real professional. This is all due to the specific angle that the screws are inserted in. There really are a lot of different jigs, some of them performed poorly while others really surprised us with how efficient they were. In both cases, each jig had their own positive aspects in which it triumphed and negative aspects in which it lacked. 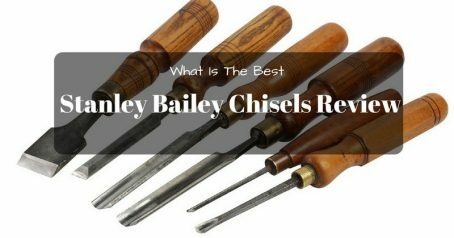 Due to the internet and the availability of a wide range of information, it was easier for us to not only determine which product was worth the revie but also it helped us see personal opinions on various woodworking forums. Most of these forums were filled with both beginners and professionals who placed their input on various pocket hole jig models, as well as some examples of their work. We have also seen videos which showed us the true efficiency of some of the more popular jigs. This is yet another good pocket hole jig from Kreg which caught our attention. Although it isn’t that new on the market it still leaves behind years of use by a handful of different woodworkers. It is also worth to mention that this jig isn’t anything fancy, it is simplistic in design and doesn’t offer a lot of features. One of its strongest points is that it is incredibly easy to use, if you are someone who is just starting out with pocket hole joints, we recommend you to save money and pick this jig instead. This is a two-hole kind of pocket jig which offers accessories such as a driver bit, carrying case and drill bit. When it comes to making joints, all you have to do is to get the drilling bit and slide it inside, then adjust it according to the thickness of the material. After you have finished that part, you’re only left with squeezing two plastic tabs on the sides of the jig until all the arrows are lined up. It is also a bit smaller than other jigs which make it a lot more compact, this makes it easier to use the jig on even larger pieces of wood. The downside to this aspect is that when you position the jig, you will need to drill towards yourself. Another cheap alternative is the General Tools Pocket hole jig kit which is versatile and offers a sturdy construction made out of metal, with enough features to make you consider it a good choice. This product is also an improved version of a similar product which was also budget friendly. At an affordable price point, most pocket hole jigs will only offer you a plastic design which can be easy to break if you use more force than usual. But the 850 EZ Pro features a construction made entirely out of metal as well as high-quality aluminum extrusion. With a construction quality like this one, you won’t have to worry about durability anymore. It also comes in a durable and appealing clamshell carrying case which gives you the option to organize everything inside it like screws and drill bits. There is also a handle on it which makes it portable. The Kreg K4 pocket hole jig is an older brother of the K5 which, although it has lesser features, it is still as efficient as the new generation and at a better price as well. 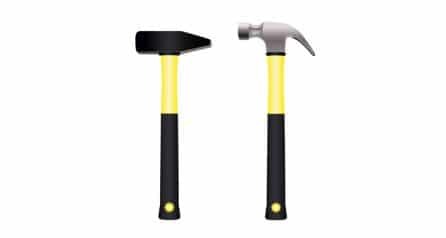 It offers you a casing which has different accessories like a removable drill guide block, fastening clamps with a stepped drill bit and an adjustable collar as well, which is useful for adjusting drill depth. There is also a DVD guide included which explains to you how to use the jig and what ways as well. Setting it up and using it is also easy as well since you’re only taking care of two adjustments most of the time. All you have to do is adjust the collar according to the thickness of the stock and the drill block. It also has pre-set drill holes which make it less time consuming to use. The face frames will end up being perfect and the overall results will be precise and pleasing for beginners and intermediate users as well. When using a pocket hole jig for the first time, you will immediately notice that the results of making a joint are far better when compared to making it manually. The jig itself will help you set up the exact measures and you will be able to precisely determine the thickness of the stock and other parts with the jig. A lot of jig models are specifically designed to give you features that help you when making joints. Maybe the model is compact which makes it easier to move, perhaps it is heavier which makes it a lot more stable. You will even encounter models which are made just for beginners. If you have ever made a wooden joint manually, you may sometimes end up being a little off with the measurements. But if you decide to use a jig you will be a lot more comfortable with the whole process since most models have pre-set measurements for adjusting the stock or for drilling the screws.